we quickly glean from this metaphor how pure in heart we must be so that we can eventually see God. 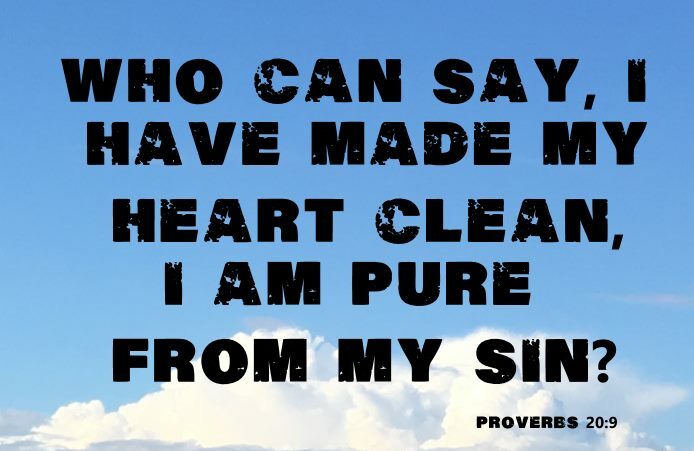 Who can say, I have made my heart clean, I am pure from my sin (Proverbs 20:9)? 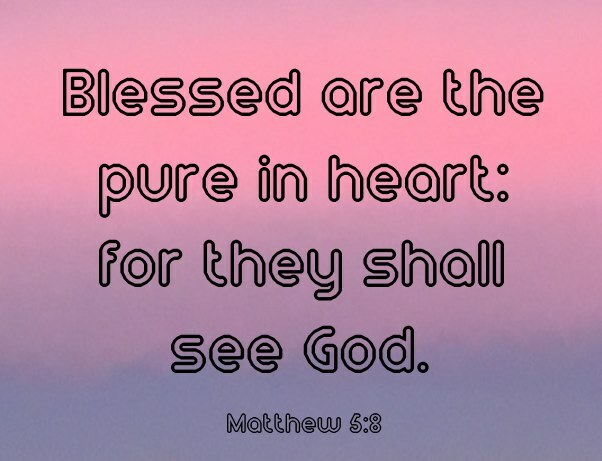 Looking at the above definition of pure, we see that this type of a pure heart fits into the category - "Free from corrupt desire, sin and guilt". We know exactly what to do when this occurs in our lives, we repent of this sin and turn fully back to our Great God and Savior Jesus Christ. 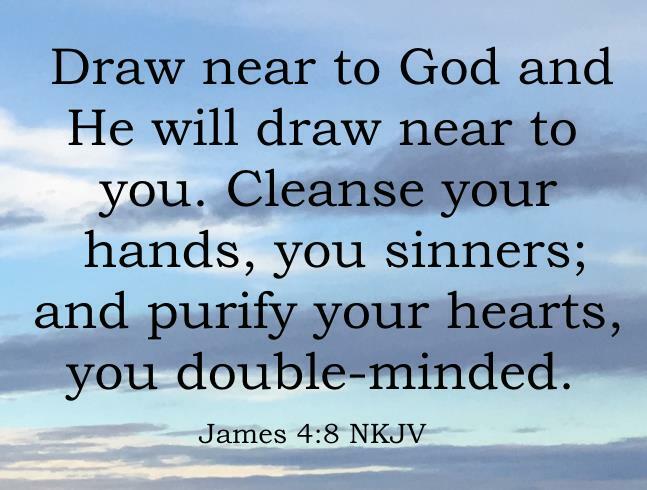 Not only do we need to do this to obey the gospel to be saved, but as we can clearly see from the "pure in heart" beatitude, we must do it whenever we have corrupt desires, sin and guilt (because of our disobedience) if we want to see God when our time has come. We must lead and live a repentant lifestyle every day of our lives. countless more things, fill in the blank? Absolutely not if we want to be pure in heart and see Him. Really, wouldn't our hearts start to get confused with these mixed messages? That's exactly what the devil would like though, to be seduced by the spirits (1 Timothy 4:1) that tag along with these activities. If we start doing one of these activities, it won't be long before we are willfully participating in many or most of them, squeezing out the activities that produce a pure heart. They are not called seducing spirits for no reason. Eventually they will lead us to a totally impure heart. As I urged you when I went into Macedonia—remain in Ephesus that you may charge some that they teach no other doctrine, nor give heed to fables and endless genealogies, which cause disputes rather than godly edification which is in faith. Now the purpose of the commandment is love from a pure heart, from a good conscience, and from sincere faith, from which some, having strayed, have turned aside to idle talk, desiring to be teachers of the law, understanding neither what they say nor the things which they affirm (1 Timothy 1:1-7 NKJV) ..... according to the glorious gospel of the blessed God which was committed to my trust ((1 Timothy 1:11 NKJV). As we said before, so say I now again, If any man preach any other gospel unto you than that you have received, let him be accursed (Galatians 1:9). Search me, O God, and know my heart: try me, and know my thoughts (Psalm 139:23 ). Seeing ye have purified your souls in obeying the truth through the Spirit unto unfeigned love of the brethren, see that ye love one another with a pure heart fervently (1 Peter 1:22 ). And everyone who has this hope in Him purifies himself, just as He is pure (1 John 3:3 NKJV). Unto the pure all things are pure: but unto them that are defiled and unbelieving is nothing pure; but even their mind and conscience is defiled (Titus 1:15 ). Whosoever will come after me, let him deny himself, and take up his cross, and follow me (Mark 8:34). Do we really think that we can take up our cross and follow Him, if we are participating in anything that is not pure in heart? For one moment visualize yourself literally carrying the cross and doing anything that is not what He would have us to do. Do we feel pure in heart?